In Jamaica recently, the North-South Highway (opened in 2016) was renamed after former Prime Minister/Jamaica Labour Party (JLP) leader Edward Seaga. The decision to rename the highway in Seaga’s honour was made by current Prime Minister and JLP leader Andrew Holness. Initial suggestion came from Energy Minister Dr Andrew Wheatley. In February Holness had renamed the state-run PetroJam corporate office ‘The Edward Seaga Building’. The official Opposition People’s National Party (PNP) was livid at this new highway name-change. The PNP felt that a decade ago – when he was Opposition Leader – Seaga was so dead against the construction of the highway and thus felt insulted by Holness’ decision to honour his former mentor. Some PNP supporters protested at the renaming ceremony. They suggested that the highway be renamed in honour of former Prime Minister/PNP leader Portia Simpson-Miller. They felt Simpson-Miller was more influential in getting the highway plans into action. Why always politicians eh? I am not a fan of politicians being planted with such endorsements. I was never a fan when the highway from Kingston to May Pen was renamed after former PM and PNP leader P.J. Paterson back in 2015. It all smacks of political self-adulation of the worst kind. Since gaining independence from the UK in 1962, elected Jamaican politicians have had this insatiable urge to name major landmarks after their political buddies and heroes. Their supporters are happy to go along with such partisan endorsements. Whether it be airports, highways, bank notes, buildings or education institutions political leaders are quick to reward their own in this self indulgent manner. Most of them honoured being men. These actions gives a sad perception that only politicians are worthy of such grand adulation, when their contribution to Jamaica is no better when compared to others in the field of say education, agriculture, science, sports, music and the arts. We can easily surmise that it is the politicians of the 1960-1990s that created the platform for Jamaica’s decay into today’s violent society. If you lived through the political violence of the 1970s and 1980s you do have to question if any politician (PNP, JLP or Communist) from that era deserves the highest of public honours. In 1976, Hasley Crawford won the 100m Olympics sprint gold and the Trinidadian government renamed their National Stadium in his honour. Donald Quarrie won gold and silver (behind Crawford) at the same 1976 Olympics and a minor secondary school in Harbour View, Kingston was renamed in his honour. Yes, there are few roads named after the occasional sportsperson, educator and musician. Some statues too. Yet it is the political class that seem hell bent to have their names enshrined above any other professional group. Most local bank notes today are named after politicians. Not one of the many high achieving sport personalities, writers or musicians has come close to having their name on a bank note. But there is hope from the younger generation given what happened to current JLP Cabinet Minister, Mike Henry. In the end Henry saw this objection and asked for his name to be withdrawn from the proposal. Henry has been indeed one of the very few Jamaican politicians who has spoken out on issues affecting black Jamaicans such as reparations and to legalise medicinal marijuana. The next new bank note issued should have the name of a person(s) from the music or sporting industry. It’s high time the National Stadium is named after a sporting figure such as Shelly-Ann Fraser-Pryce or Usain Bolt. Maybe consulting the public is to way forward before naming future landmarks. But will the political class have the guts to give up this authority? It is one of the reasons from my school days at Glenmuir High (in Henry’s constituency) that I was never wholeheartedly a fan of the National Heroes ethos in Jamaica, where we have placed only 7 (6 males) people as worthy of Jamaica’s highest award of national recognition. 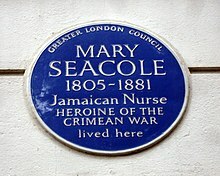 Why has Jamaica not bestowed National Heroes status on the likes of The Wailers, Usain Bolt, Louise Bennett-Coverley, Mary Seacole, Una Marson, Dr Heloise Lewis, Sir Arthur Wint and some of those Jamaicans who were involved in both World Wars? If in the 500 plus years of Jamaica’s colonial and independent existence we can only come up with just one female (Nanny of the Maroons) as worthy of Jamaica’s highest recognition, then the island has a serious problem with how its history is being told. Especially as we all know it is our mothers and grandmothers who have been (and still do) the real backbone of Jamaica. Worth noting that none of Jamaica’s current National Heroes was born in the 20th century. Marcus Garvey was officially named Jamaica’s first National Hero in the 1960s. But can we really downgrade the significant work of his two former wives Amy Ashwood Garvey and in particular Amy Jacques Garvey when compared to Marcus? Both wives are treated in popular culture as footnotes when their own work should be elevated more widely. As with the naming landmarks issue, maybe the criteria for achieving National Hero status needs to be reviewed, modernised and allow the public to have their say. This entry was posted in jamaica, jamaican, usain bolt and tagged andrew holness, jamaica, jamaican. Bookmark the permalink.